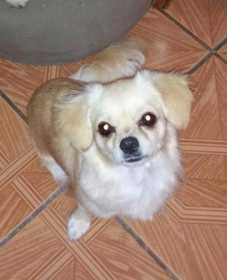 Small mixed breed dog. Light brown tan in color, long hair. Went missing last night before sundown. No collar, no tag or no chip. She doesn't care for them. Eastside Tucson, AZ. 26th & Alamo. Alamo park vicinity. Please contact Maritza right away 520) 272- 2638 G.B.